Hi, I am Trish (Thomas) McGrath, Founder of EDGE Career Solutions and it is nice to meet you. 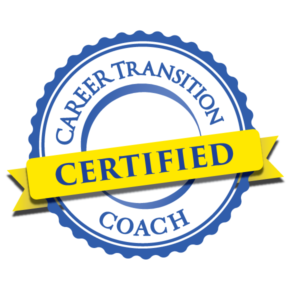 A Certified Career Transition Coach, I specialize in helping people build careers that are both personally and financially rewarding. I am living proof that it is never too late to reinvent yourself in an exciting encore career. I chose to leave the corporate world in 2011 and have never been happier. I want you to have the same career satisfaction and will work tirelessly to help you achieve it. Applying 20+ years of experience gained in private practice, higher education career counseling and corporate hiring, I help people move from where they are to where they want to be. An active member of Career Thought Leaders, Career Directors International and the Professional Association of Resume Writers & Career Coaches, I strive to make a difference to the job seekers I serve. 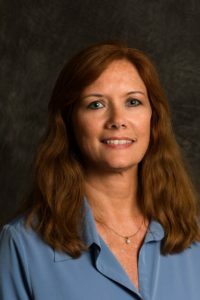 I am a certified career transition coach and MBTI practitioner, and have completed more than 850 hours of training and continuing education to keep up on the latest industry trends in resume writing, online applicant tracking system technology, social networking, job search strategies and the changing job market. It is important to me to be involved in the community and pay it forward. I volunteer my time as a Career Coach and Past President of the Board for CT-Alive, a non-profit organization that helps victims of domestic abuse rebuild their lives free of violence. I am an active SCORE volunteer and a member of The Simsbury Chamber of Commerce. Previously, I have volunteered with Dress for Success, JETS Schmoozers job search program, South Park Inn homeless shelter and the Equistrides therapeutic horseback riding program. In addition to my pro bono work, I teach LinkedIn training workshops and present on career-related topics at local libraries, chambers of commerce, job search groups, high schools and universities. One thing that differentiates me from my peers is the personal 1:1 service I offer each of my clients. You will work directly with me, not a subcontractor. I take pride in the quality of my work and the time I take to get to know each person. After all, the better I know you, the more accurately I can advise you and help market you to prospective employers. To accelerate your successful career transition, I will share the best job search strategies and help you prepare so you confidently ace job interviews and win job offers with attractive compensation packages. If you are ready to start winning interviews, call me today!